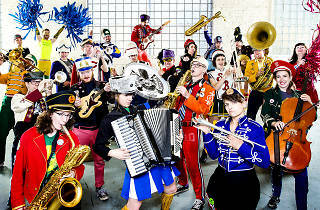 Local 30-some–piece marching band Mucca Pazza sends off 2018 with a jovial celebration at Lincoln Hall, which should please band geeks and the musically inept alike. 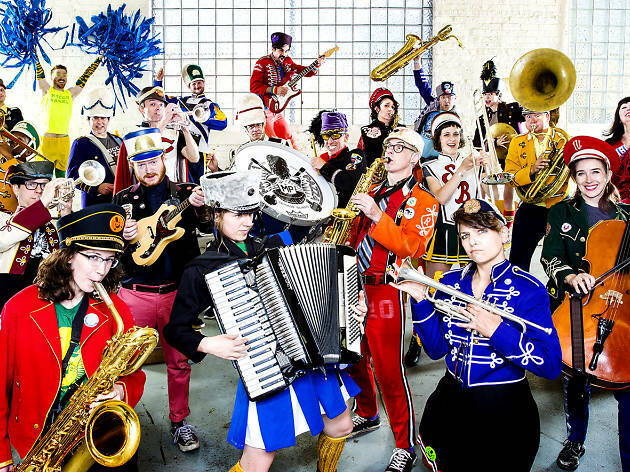 Armed with mismatched uniforms, horns, cellists, guitarists, drummers and enthusiastic cheerleaders, the collective explores everything from Balkan music to big band arrangements while marching in unconventional formations. On New Year's Eve, they'll be joined by local punk rockers Absolutely Not and the Fuzzbox DJs.